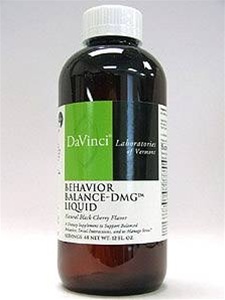 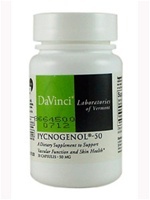 Behavior Balance-DMG Liquid is an advanced nutritional supplement that is a synergistic combination of our patented N, N-Dimethylglycine (DMG) with Betaine, Folic Acid, Vitamins B6 and B12, Zinc, and Magnesium in a great tasting, natural cherry flavored liquid. 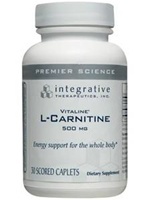 It is designed to improve behavior patterns and socialization skills, help cope with stress and support proper immune system function. NOTES: This product is vegetarian and free of citrus, corn, egg, gluten, milk, phenols, salicylates, sodium, soy, wheat, yeast, added starches, synthetic dyes, and artificial flavorings.